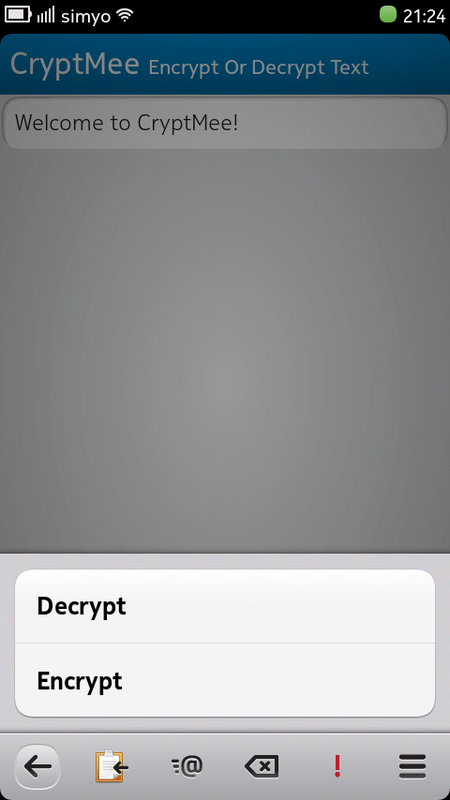 CryptMee is a GnuPG frontend and LibOTR backend for Harmattan (Nokia N9/N950). 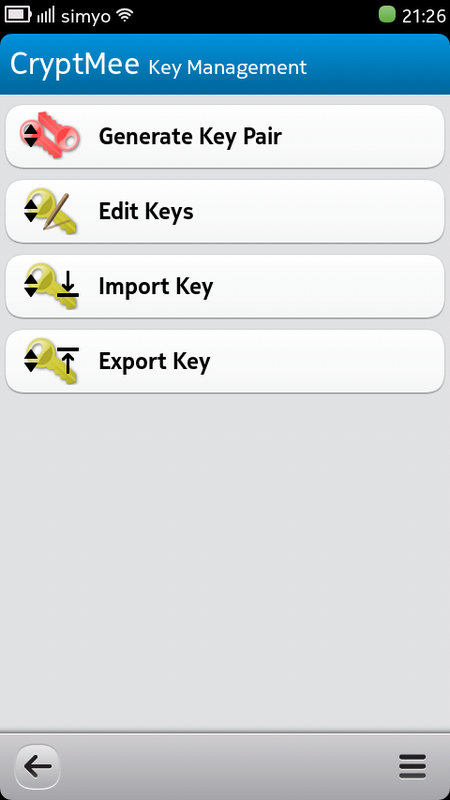 You can encrypt and decrypt text, view encrypted emails, manage your keyring or make OTR encrypted conversations (XMPP only). If you like it, please donate so I can implement some new features! Thank you! is this still working? 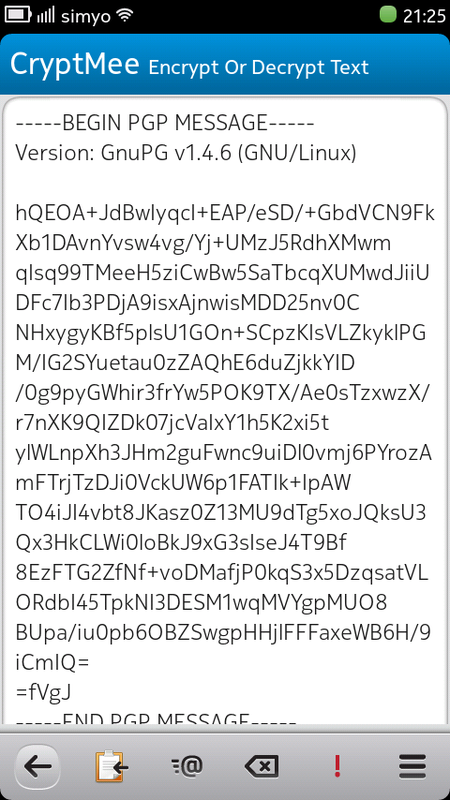 Cant send myself a message in plain text or OTR. When i change to OTR the lock stays open and red. 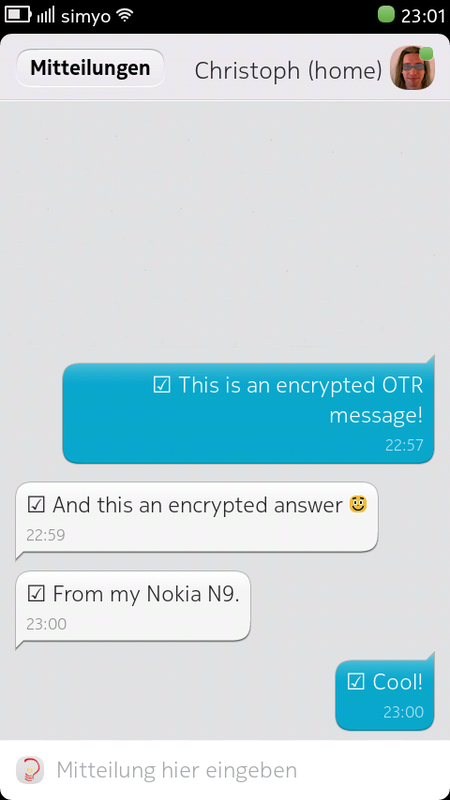 OTR is activated for my xmpp account. But there are no known fingerprints for contacts even for 'self'. Do i miss something? yes, this app is still working. I'm using it for my everyday communications. 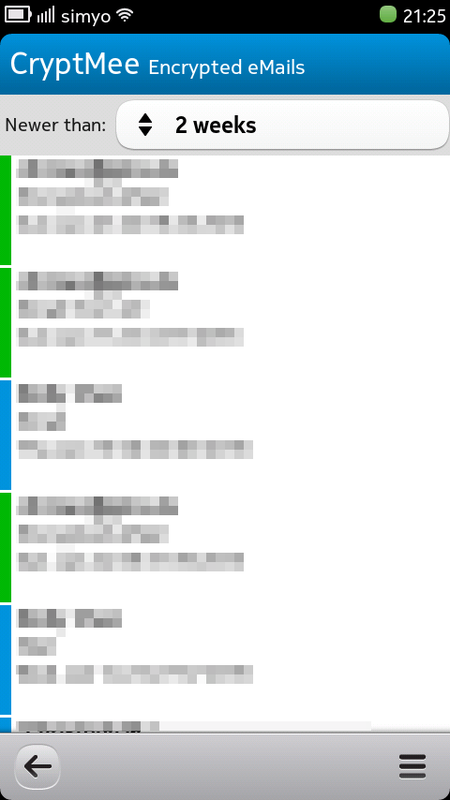 What does not work is this "self" entry in your contacts list. Just try a real contact on another device. How difficult would it be to build a Sailfish package of this app? The most work concerns the user interface. All the rest is C++/Qt so it is very portable. Info for my chinese friends: please, use Warehouse or apt for installing CryptMee. It has dependencies to two other libraries. Installing CryptMee without this libs will not work! Background for this info: I see a lot downloads from China, but ZERO downloads for the libs from this country. You're welcome! And thx for your donation! New update is available. Thank you for testing and reporting bugs. Please version for Sailfish !!! !